3. Two 6A diodes to serve as blocking diodes while panels are in parallel. A charge controller is a device that takes the input from solar panel(17V rated) and feeds it to the battery at the appropriate level(<=14V). Charge controller also gives a DC output taking electricity from either the load or the device. Charge controller cuts off the input from the sun when the battery is fully charged and cuts off the load when the battery levels are too low. 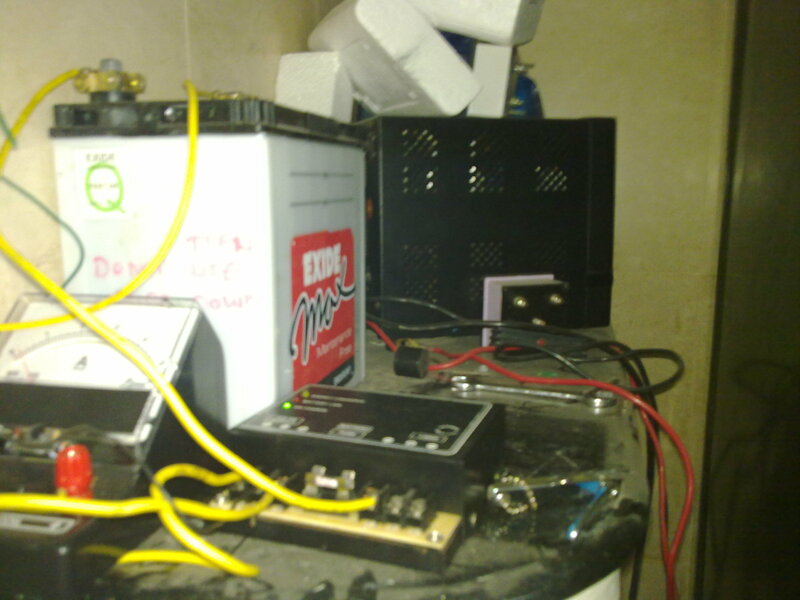 Inverter is a device that converts DC power of the battery into AC power required by my laptop or any other device. I can either connect the input of the inverter to the output of the charge controller or to the battery itself. I choose battery terminals as I found inverter itself had the capability to cut off the battery from the load when the batter level was too low. Now with the arrangement done, I put it into action! The solar panels absorbed the divine energy given by the sun and then transformed it into electricity, feeding the batteries! But here, the battery was already pre-charged in the factory shipped state and it did not take much time to charge it fully. Only about 2 hours. I decided to be cautious and not operate the inverter to supply the load during day. Hence, I waited for the night. NOTE: My next post contains more information for a person who’s an electrical engineer. You mentioned tilting the solar panels towards the sun. For optimum exposure to solar power, it is favorable to tilt the solar panels through an angle equal to the latitude of your location. 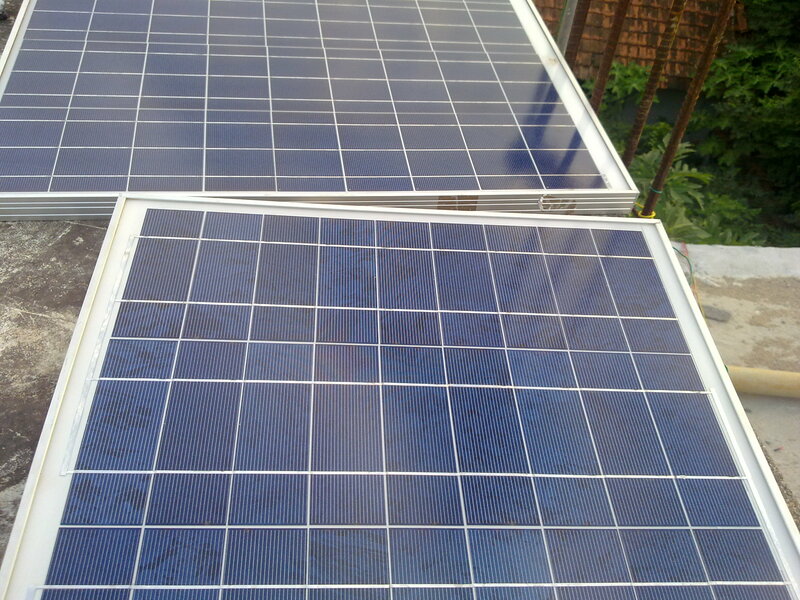 Meaning, if you are at the equator, you keep your panels parallel to the ground. And, if you are at the poles, you keep your panels perpendicular to the ground. Just thought I might add something to your article. Most people think DIY solar power is too expensive/difficult. Need blogs like yours to tell them it is not. Keep up the good work.